Rory McIlroy and Tiger Woods are good friends on and off the golf course, but next season season the top two players in the world could have something else in common. According to the Irish Times, McIlroy is reportedly being linked with Nike for a deal that could be worth upwards of $250 million. McIlroy's deal with golf giant Titleist/FootJoy expires at the end of 2012, making the 23-year-old the most sought-after free agent on the equipment market. The 23-year-old from Co Down has long been considered a sponsor's dream — clean cut, articulate and immensely popular worldwide — and according to London-based publication SportPro Media, he is the second most marketable athlete in the world behind Brazilian soccer star Neymar. But while there has been industry chatter for the best part of the last three years that he is set to join sports equipment giants Nike, the noise has reached deafening levels over the past few months. Sources consulted by The Irish Times insist that the move to Nike will become a reality when the Titleist/Footjoy deal expires. Think about that for a second: 10 years, $250 million. It's a head-spinning figure that, in all honesty, is probably a little inflated. Back in 1996 when Tiger Woods first joined Nike, he signed a deal worth a reported $40 million over five years. In 2001, Woods re-upped with Nike for $100 million over five years. Sure, there's more money in the sport than in 2001 when Woods signed the reported $100 million deal. But it's difficult to fathom McIlroy making more money than a guy who completely changed golf's financial landscape. Even if McIlroy doesn't make $250 million, there's a good chance he could make close to $200 million, which would come out to $20 million per year ... or what Tiger Woods reportedly made in 2001. 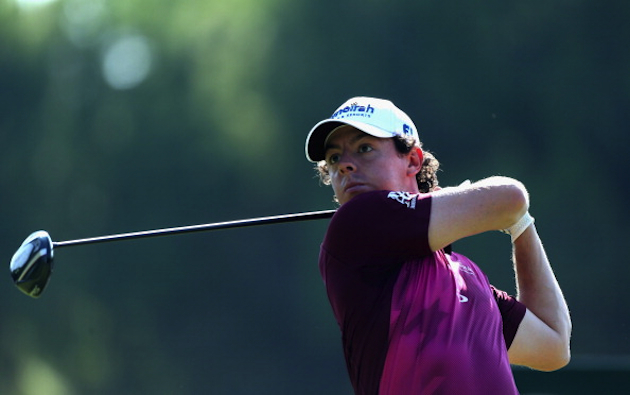 Is McIlroy worth $200 million-plus? That remains to be seen. If you believe he's the second most marketable athlete in the world, then the figure makes sense. Plus, Woods is a couple months from turning 37, so the company needs a face for the future. Signing a 23-year-old with two major championship wins for the same money Woods made, per year, in 2001 when he had 6 majors could be categorized as a huge gamble. But if Nike waits another five-to-10 years for McIlroy to sign with them, there's a chance they could miss the boat on a rising star. If you believe the Irish Times' report, that's a risk Nike doesn't want to take.